Reading and share top 1 Alexandra Sobetsky famous quotes and sayings. 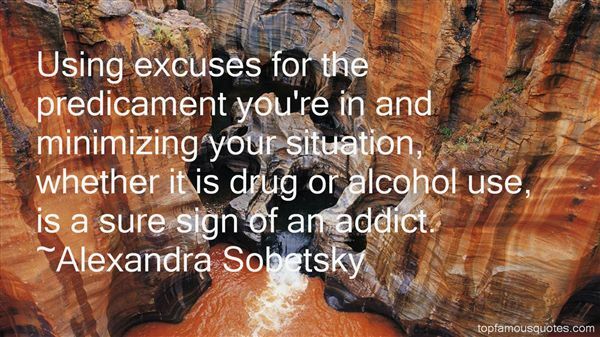 Browse top 1 most favorite famous quotes and sayings by Alexandra Sobetsky. You knocked the door down." Disbelief rang in his matter-of-fact tone. "I know," she answered,unable to say anything else. Unable to look away from his body. "But it's solid oak. ""I know." She felt the solid oak beneath her and a little shocked that she'd done it, too. If it mattered at all, her shoulder felt a little bruised. And it was the slight pain that brought some reality back into the moment. "You don't have any clothes on." Oh, God, did she really say that?"